Love the mountains & mountain views? This is your new home! Excellent quite location & value. Clean, well cared for, open layout with semi vaulted ceilings, natural light, cozy gas fireplace for cold snowy nights, central air for hot summer days & open living/dining/kitchen area. Kitchen has ample cabinets, counter space and all appliances are included. Master bedroom features semi vaulted ceilings, walk-in closet and master bath with 2 sinks and large soaking tub. Separate laundry room includes washer and dryer along with lots of shelves for storage. 2nd bedroom is lite and brite with walk-in closet and lots of shelves for storage too. Enjoy BBQ's or a drink on the west facing balcony. 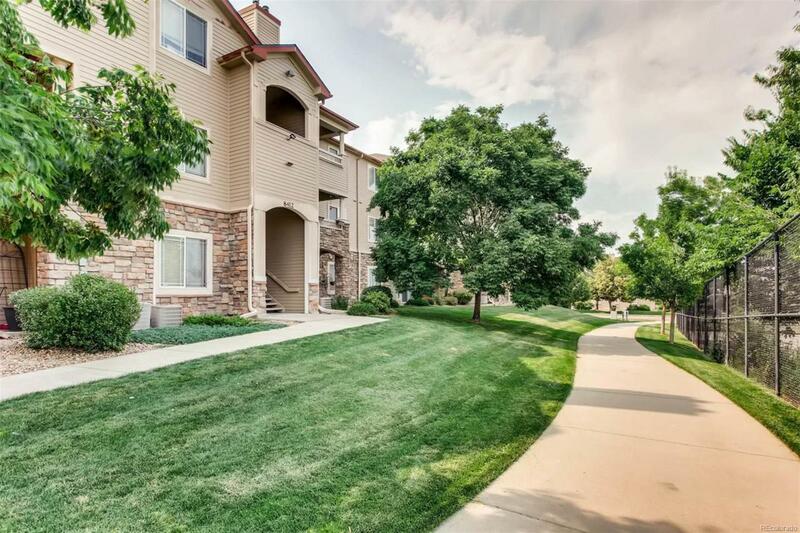 1 car garage Walk or ride your bike to restaurants, close to shopping and I-70, minutes to Chatfield State Park (off leash dog park), foothills, bike trails, Foothills Park and Rec and Waterton. Garage #257 - Mountain view pictures to follow shortly. Welcome home!